During the winter months, the cold and wind dry out the earth and our bodies. If we continue listening to nature as our guide, then we’re naturally provided with higher protein, fattier and oilier foods that restore that moisture and maintain strength. This means avocados, beets, winter squash, nuts, fish, meat (red meat, chicken, turkey) and natural oils. We should be making soups and using spices or foods that warm the body. To maintain better health in winter, we should be eating the foods that are growing locally. That means gravitating towards sweet potatoes that nourish and warm over cucumbers that provide water and are meant to cool the body. Of course with the invention of refrigeration and travel, many of us have the choice of any food we want at any time! However, if that food has traveled from California or Portugal it will certainly be more expensive and may not be best for our health. Both animals and humans have traditionally gotten most of their protein and fat for the year in winter. Think of squirrels and nuts. In winter, the food supply wasn’t always consistent so people often ate larger meals that needed to provide energy for longer periods. During this time the body learned to burn fat for energy, as opposed to the sugar we all burn for energy now. It may take some time for your body to get used to burning fat for energy, but that’s what winter wants us to do. How do we do that? Eat some of the foods I listed above and those that are from Virginia now. These foods will keep you more satisfied for a longer time which will contribute to maintaining energy, eating less often and get you leaner. Keep in mind, there are certain fall foods that may be sometimes be available, depending on the harvest, and, there are also some heartier vegetables that are grown in a greenhouse and protected from the winter elements. Again, if we use the season as our guide, winter is the time of contraction and going inward. We generally move less, should naturally eat less, sleep and rest more, say ‘no’ more. It is a time for reflection, quiet, planting creative seeds, moving throughout the day, restoring, and preparing for the burst of spring. It follows then, that starting an aggressive routine of any kind and speeding out of the gate because the calendar says January 1st may be counterintuitive. Certainly the new year can motivate and re-inspire with intentions for diet, fitness and health and this is not an excuse to sit and do nothing because it’s cold. 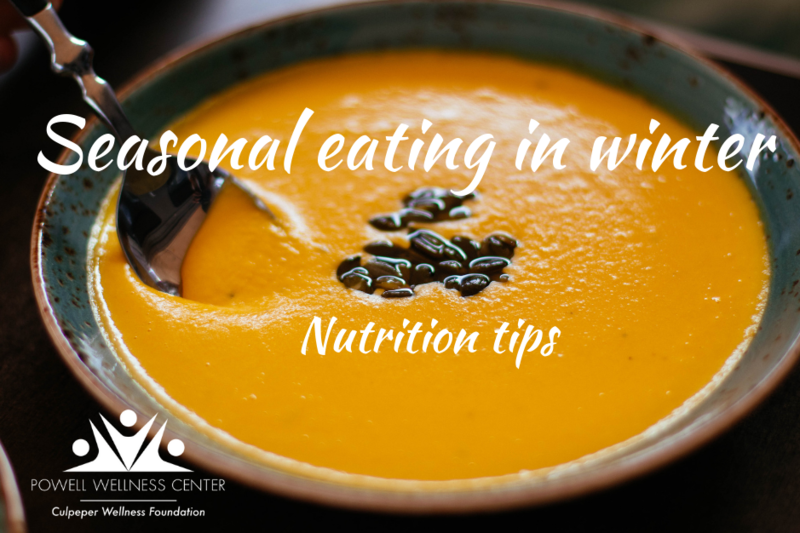 We want to incorporate healthy winter foods and ease into a routine that will become part of your lifestyle and sustainable, not just a short term fix to achieve a weight loss goal for the month. Whether it’s January 1st or September 1st, we can and should be intentional and productive, and focus on what we’d like to achieve, but we can do it with the ease, grace and kindness that nature is now suggesting. Contributed by PWC’s Integrative Dietitian Nutrionist Jena Savadsky Griffith. 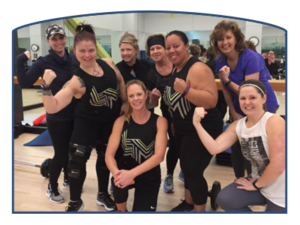 If you are interested in a nutrition consultation, Jena may be reached at 540-431-2397 or jsgriffith@culpeperwellness.org.